On Wednesday 3rd, 10th and 17th of April St Barbara’s Cathedral is open due to a Mass from 9 AM only to 5:30 PM. At weekend 13th and 14th of April there is a running contest in the surrounding of St Barbara’s Cathedral – Cathedral is open but access can be more complicated. On Sunday 21st of April the Cathedral is open due to a Mass from 11 AM to 6 PM. 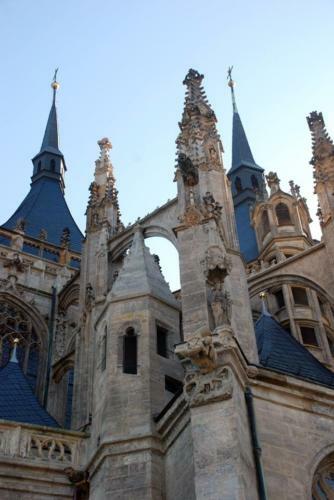 On Saturday 27th of April the Cathedral is open due to a wedding ceremony from 12:30 to 6 PM. You can find the current programme of church services here (Czech only). When planning a visit to the Cathedral, please pay attention to the current exceptions to the opening hours. If you are interested in visiting the Cathedral outside the regular opening hours, please contact us for a quote. Barrier-free toilets can be found in the Information centre next to the Cathedral. 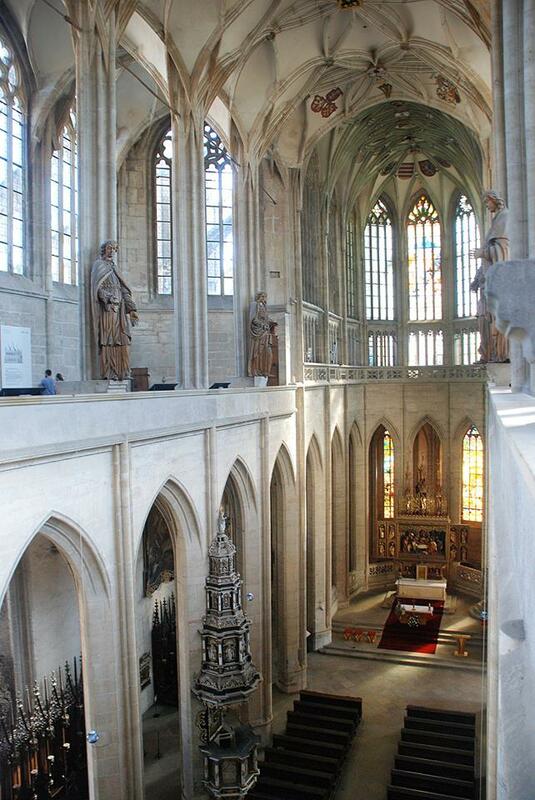 Only the ground floor of the Cathedral is wheelchair accessible; the staircase to the inner gallery does not allow barrier-free access. Thank you for your understanding. If you are interested in holding a wedding ceremony, please contact us. The Cathedral of St Barbara, a jewel of the Late Gothic period and one of the four cathedral-type buildings in Bohemia, was incribed on the UNESCO World Heritage List together with the Cathedral of the Assumption of Our Lady and St John the Baptist and the historical centre of Kutná Hora. The splendor of this structure is tangible testament to the fame and riches of the silver Kutná Hora as well as of the deep devotion of its creators. 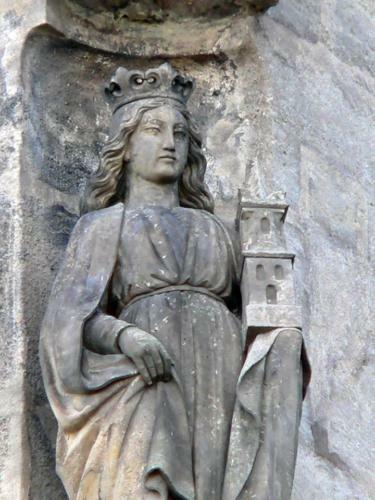 The cathedral is dedicated to Virgin Barbara, an early Christian martyr, invoked as a helper in need, an intercessor for a good death, and a patron of all who carry on a dangerous occupation, especially miners. And it was in fact miners who contributed the most to the medieval town‘s blossoming as well as to the construction of the cathedral, which they dedicated to their holy protectress. The beginnings of the structure, which date back to the second half of the 14th century, are linked to Parler's famous building workshop. The activities of this workshop were supplemented by the work of many other ingenious artists and builders, including the famous Benedikt Ried, among others. He is the author of the so-called empora (an indoor gallery on the first floor of the cathedral), the design of the unmistakable tent roofs and, of course, the tracery vault over the cathedral’s main nave. The construction work had to be temporarily suspended in the mid-16th century when the silver ran out in Kutná Hora’s mines. The centuries that followed brought a wave of reconstruction work and replacement of the cathedral‘s fixtures, particularly in the Baroque style. The cathedral‘s present-day appearance dates back to the 19th and 20th centuries, when the church underwent an extensive regothisation and a total restoration. The Cathedral of St Barbara is a diverse gallery of, in particular, rare Gothic frescoes and stone-cutting art, but all generations of artisans have left their mark here. 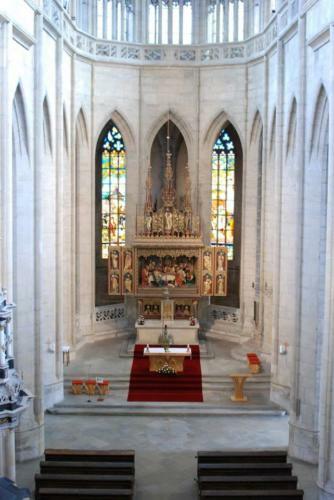 The main nave is dominated by a Renaissance pulpit with baroque paneling. The learned and pious Jesuits equipped the cathedral with a number of Baroque altars, sculptures and paintings. 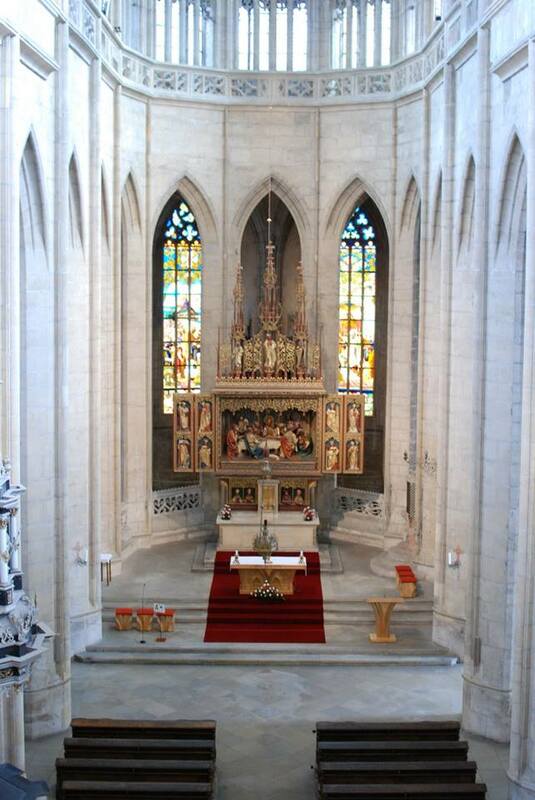 Generous donors to the neo-Gothic renewal had stained glass installed in a large part of the windows at the start of the 20th century, on which the painter František Urban depicted a series of purely Christian motifs as well as the significant events of his time. In 2014, the latest artistic work: stained glass with a motif of St Agnes of Bohemia, which adorned the last clear window in the cathedral’s south nave, continued in this tradition. 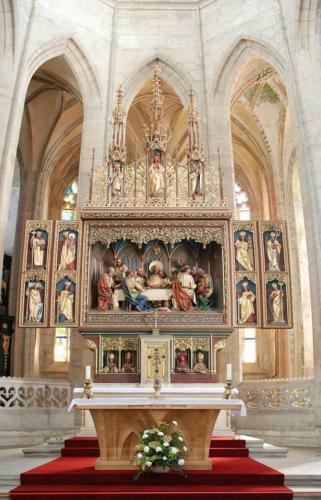 We are a parish community at St James’ Church in Kutná Hora. We meet on the occasion of church services and other activities to share our faith, hope, and experience with God's love and mercy. We run the St James's church nursery school, and we support the Church grammar school (Církevní gymnázium) in Kutná Hora. 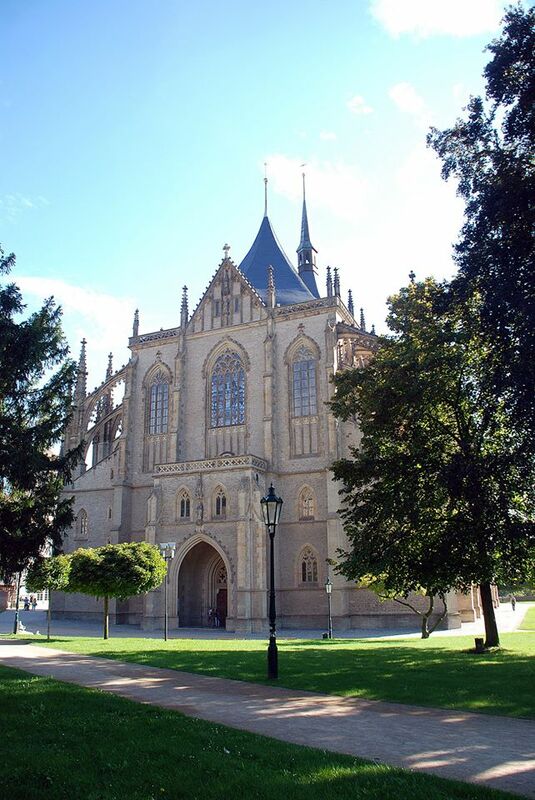 We manage the St Barbara's Cathedral and other religious sights in Kutná Hora and its surroundings. 2019 © Roman Catholic Parish - Archdeanery Kutná Hora | Theme by SiteOrigin.